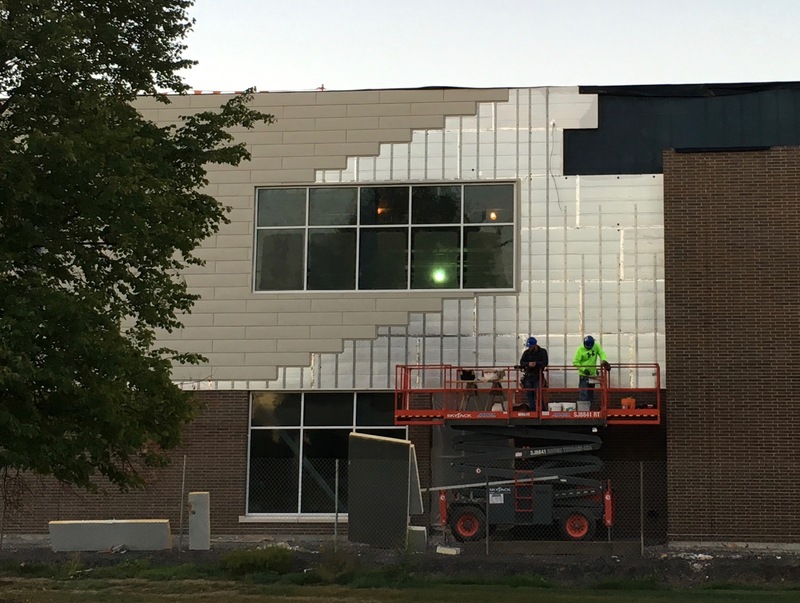 The new Recreation Center for Henrietta, NY faced the typical challenge of maximizing the architectural value of the budget. The architect did a great job of combining some traditional masonry elements with more contemporary metal panel and glass elements. Our expertise is the building enclosure; we provide the best roofing and wall assemblies that meet the current energy and fire codes. On this project CAS provided a black Carlisle EPDM roof system with an R-30 tapered insulation system. Draining the water quickly and giving the building optimum performance to handle the cold Rochester winters was important. We came up with a tapered insulation design that reduced cost overruns by reducing unnecessary tapers and excess drains. The wall assembly features the Barritech NP air barrier from Carlisle Coatings and Waterproofing. This fire resistive air barrier locks out air and vapor movement through the wall, it is also fire resistive to meet the rigorous demands of the NFPA 285 fire code. 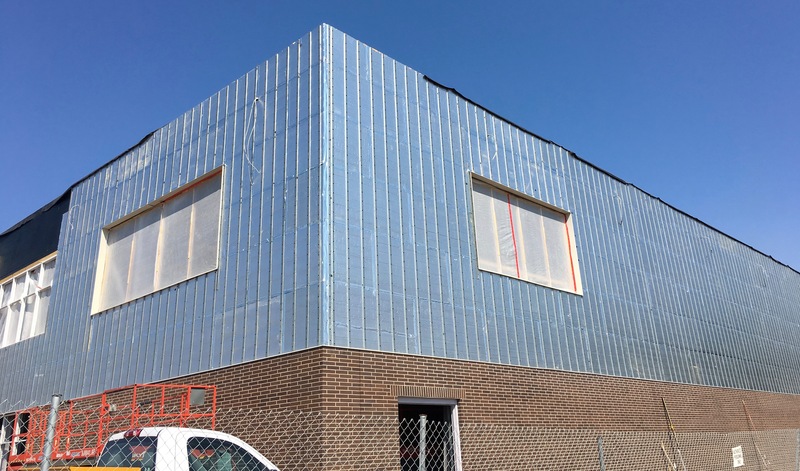 The exterior insulation was provided by Hunter Panels. 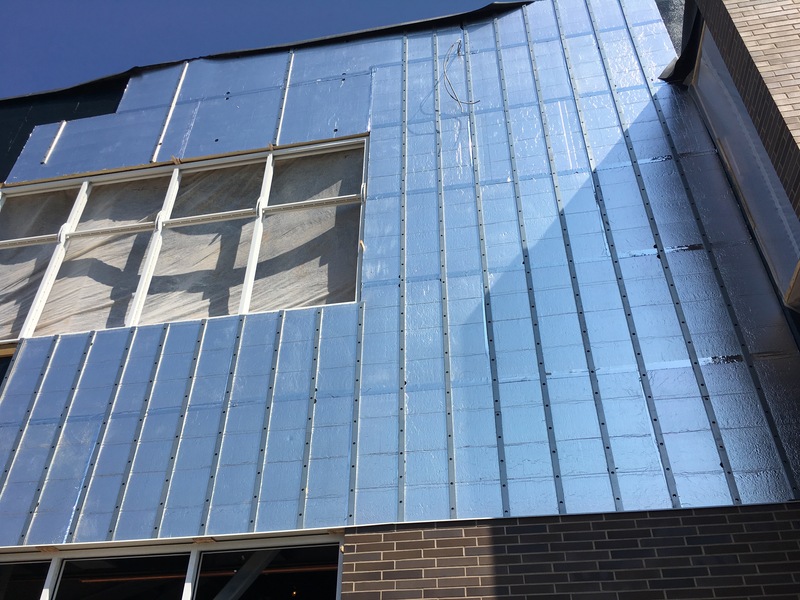 Exterior insulation is a mandate of the energy code and with a high-R value product like the XCI Class A, the code is easily met with only a few inches of insulation. Very few insulation types will meet the NFPA 285 fire code behind a metal panel but the XCI Class A passes this test easily. Without Knight Wall Securement Systems, hanging exterior claddings over continuous insulation can be a big challenge. The Knight Wall Ci-Girt kills this challenge. It installs fast, is economical compared to the alternatives, it works with every cladding and all of the installers know how to use it. 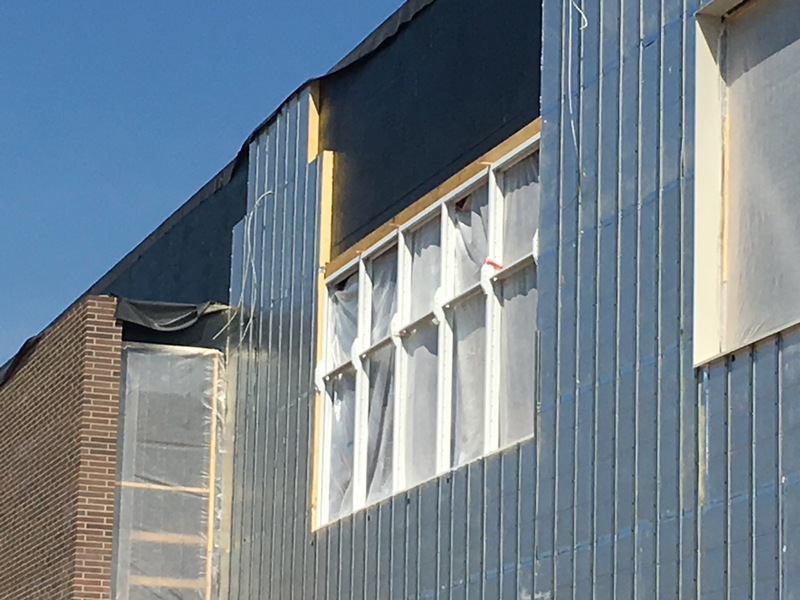 The Knight Wall CI-Girt is engineered to ride on top of the insulation allowing for a full continuous insulation uninterrupted by cladding framing members. Knight Wall has many securement options, let CAS work with you on your next wall assembly. CAS provides expert advice, details, specifications and regular job site visits. We are proud of our position in the industry with collectively over a 100 years of construction experience; we know our industry, we study our field and we take pride in ourselves for offering the best advice in upstate NY.